Hello everyone! I’m thrilled to be hanging out with Lexi today, always a pleasure! I have four separate releases this year and it’s been a long time coming. 2016 sucked, ‘nuff said. Life has its ups and downs for everyone and I’m no exception. The silver lining (and I am always a silver lining kind of girl) is that my writing has become deeper. Pain is growth, if you learn from it, and I’ve learned a lot this past year. For as long as I can remember I have wanted to fly. I spent hours as a child in imaginary worlds where I either had the ability to fly or I was riding a winged horse or a dragon. I’m a lucid dreamer and I can tell you that flying dreams are the bomb! I’ve soared down rivers, over mountains and even through the rings of Saturn. Yep, Saturn. FTL ships got nothing on me and my lucid dreaming speeds. First on deck is my new UF series Tethered Wings. I loved creating this world and truly it has kept me sane (ok, sane may be a stretch, but work with me here). I credit my friend Juliette Cross for sparking this series as it was conceived when I was reading her Night Wing books. It wasn’t difficult for me to imagine a race of human like people that had wings. They live together with humans for the first time in a country called Vega. 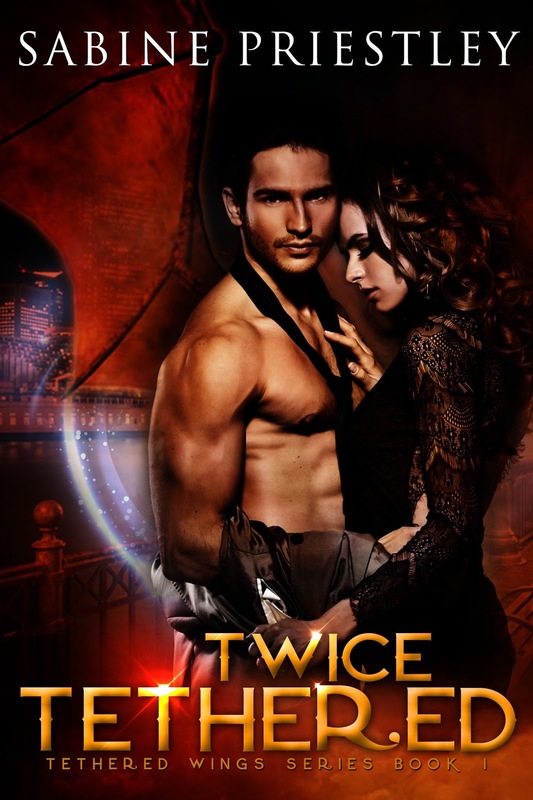 Twice Tethered is book one of the series. As I was working on book two, Vega Falling, something odd happened. Odd and seriously cool. I can’t tell you though, because it’s a major spoiler. Book two comes out August 1st so you won’t have to wait long. After that I have two new Sci-Fi Romance titles, and then I’ll launching a brand new SFR series in 2018! Just a little busy these days! One last thing. Me and some crazy author friends are reaching out to you, the readers. Seriously, we want to know what you’re looking for. What do you want to read? What do you want more of? The page is still a work in progress but, you can check it out here: Tell Us What You Want. Here’s an intro and some excerpts to Twice Tethered. 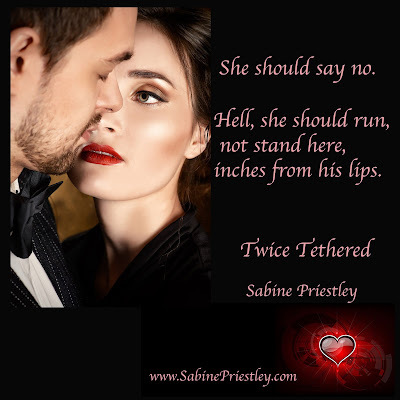 Twice Tethered, book one in the Tethered Wings series. She had no words. He was playing her like an instrument. Orchestrating a symphony unlike any she'd ever experienced. In a country called Vega, winged sensari and humans live and work together for the first time. Priya Desai wanted nothing more than to launch her career at Genetic Realms engineering, but one night with CEO Morgan Steele changed everything, including her humanity. Morgan is duty bound to help Priya through the transformation—an intensely physical process which brings both pain and pleasure. As his enemies fight to destroy his company, and political tensions rise, the two must find the truth: Did someone engineer the transformation in her, or did he really tether twice? Pre-Order now for only .99! The turmoil within screamed to be set free as Tara closed his office door behind her. Damon gripped the mantel with both hands and stared into the fireplace. The rumble within was the strongest he’d ever experienced. He closed his eyes and centered himself. Control. He focused on his breathing, emptying his mind, centering his core. He opened his eyes five minutes later and returned to his desk. He’d never come so close to losing it. He toyed with his platinum pen. A gift from his brother when he was elected president of Vega nearly six years ago. Six years his safeguards had functioned perfectly. Protecting Vega’s financial systems completely undetected. Until now. The beautiful blonde, Tara Newton, had done what should have been impossible. That had to be what had caused his near loss of control. Had to be what created a connection that should never exist. Was her synesthesia responsible for being able to detect his code? He ran a hand over his face, trying to clear the fog that was Tara. He’d lost it on multiple levels with her. If she hadn’t stopped him, he’d have taken her then and there. In his office, door open. It was unacceptable. He stood and went to the wet bar in the corner. Eyeing the bottle of bourbon he reached instead for the coffee pods. Too early for the hard stuff, but there was a stiff drink in his future. Damon’s gaze settled on the couch. Maggie could have walked in on them. 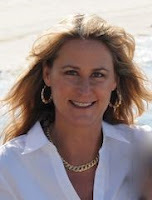 The unprecedented lapse of judgement was matched only by his growing desire for Ms. Tara Newton. He leaned against the counter of the bar and sipped his coffee. She wasn’t his type. Her disregard for social norms spoke of a freedom he’d never experienced. Her over-sexed fashion sense overshadowed her extreme intelligence. It appealed to the part of him yearning to explore her body and soul. And he did want that. A shift in his perception signaled a deep approval. He let out a low whistle. Things just got serious. “What do you think you're doing?” Morgan Steele inserted himself between her and Seth. That explained the pleasure coursing through her. Morgan wore jeans and a half-unbuttoned shirt. A short gold chain rested around his neck. 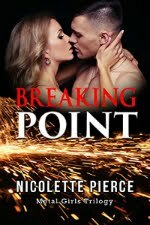 His fingers brushed hers igniting a full-on body buzz. “Piss off, Steele,” Seth said, straightening his collar. She nodded and stepped close enough for the heat of his body to radiate up her arm. 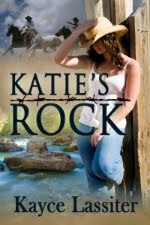 He placed a possessive hand on the small of her back, his thumb stroking. The bolt of electricity from his touch was almost painful. Almost. Ugly red blotches spread across Seth's face. He sneered at Priya before whirling around and launching off the platform. A low growl rumbled through Morgan. Felt more than heard. When he turned his attention back to her, she couldn’t move. She started to ask what that meant, but when the heat of his hands slid onto her hips all she could do is breathe him in. Mountains and rain. She wanted to lose herself in that smell. He was gliding his thumbs in tiny circles and it did things to her insides. His breath was hot on her skin. “What are you doing here?” Her voice shook with more than adrenaline from the encounter with Seth. He beat her to it, tilting his head at the last moment and brushing his lips across her ear. “The image I keep seeing in my head…” He leaned back and gazed into her eyes. Her heart slammed into her chest as the scene burned brightly in her mind. She swore she felt him pulsing inside. He nodded. “I thought so. Is that what you want, Priya?” His voice was low and gravelly, he made her name sound exotic. His lips brushed against her neck just below her ear and a cacophony of sensation inundated her senses. “We definitely should not.” He bit down on her shoulder. Surrendering, she wrapped her arms around his neck. He devoured her. Demanding. Hungry. So very hungry. Anthropologist. She's a geek with heart. She’s a travel addict, beach-loving, stargazing disruptor.